Tomorrow is "Pulpit Freedom Sunday," which is being billed by its sponsor, the Alliance Defense Fund (ADF), as an effort to restore First Amendment freedoms to churches. The reality is somewhat different, and the event is just another ploy - whether willfully ignorant or deplorably cynical, is not clear - to rally religious voters on the eve of the 2008 election and fan the flames of the "culture wars". For Pulpit Freedom Sunday, participating clergy are being encouraged to comment on the "moral qualifications" of individuals running for elected office. This will put them in violation of the Johnson Amendment and section 501(c)(3) of the Internal Revenue Code, which grants tax-exempt status to religious organizations, but only so long as they abstain from political campaigning and the endorsement of candidates. The desire is that the Internal Revenue Service (IRS) will cite participating churches for this violation, leading to lawsuits that the ADF hopes will overturn the Johnson Amendment. It is a mark of what appears to be the diminishing power of evangelical voters as a cohesive power base for Republican conservatism, as well as the arrogance and ignorance of church leaders participating in the Pulpit Freedom Sunday, that this is being pursued at all. There is ample legal precedent affirming the appropriateness of prohibitions on the intermingling of faith and politics, and those clergy who violate that law are essentially guaranteeing that their congregations will be publicly embarrassed, potentially saddled with legal bills, and facing the very real possibility of losing their tax exempt status. In 1954, Congress saw the need to separate charities and churches from politics. An amendment was offered on the floor of the Senate by then-Senator Lyndon Johnson. Through either willful blindness or crass cynicism, the Alliance Defense Fund is ginning up a confrontation over a non-issue. This is not a matter of First Amendment freedoms of either religion or speech. Rather, it is an issue of tax exemption, and the ADF is wildly inaccurate when it claims that the government is legislating what can be spoken from the pulpit. The government makes full allowances for political speech by religious organizations, it simply removes their tax exempt status. Freedom of speech and freedom of religion are rights guaranteed by the Constitution. Tax exemption, by contrast, is a privilege provided by law, and which comes with preconditions. Violate those preconditions, and there is every justification for losing that privilege. Pulpit Freedom Sunday is just one more distraction - one more spurious claim of Christian victimhood, like the so-called "War on Christmas" - designed to exploit cultural divisions and rally religious voters to the Republican Party, which, in recent years, as wholeheartedly backed the erosion of the wall separating church and state. 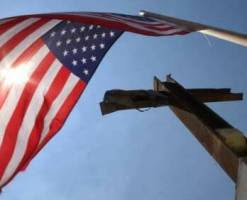 A recent study from the Pew Research Center, however, confirms that fully half of American conservatives - up from just 30% only four years ago - think that churches should stay out of politics. Even setting aside the fundamental issues of law and the Constitution involved, given the contemptuous manner in which the GOP has treated religious conservatives, church leaders would be wise to share that sentiment. I, for one, hope that all these churches (and their preachers) DO lose their 501(c)(3) exemptions. Then tax the hell out of them. Most of these guys are living like the Sultan of Inner Arabia in their mega mansions with 20 Rolls Royces in the driveways and using money suckered from their congregations to subsidize their lavish lifestyles. Just desserts, as they say. Well, I see that only 34 preachers actually did do this. Good luck with that! I know that under this administration nothing will happen to them. But the bureaucrats have long memories, and with new and competent leadership, they will go out and get the job done! Hooray! What most of those preachers fail to realize is that the tax advantages of being a preacher ride with the 501(c)(3) designation, and if their church loses that - they also lose their personal tax perks as well. Ha Ha! I've been looking for news items on Pulpit Sunday, but other than the count of participation, haven't found much. Rumor has it, however, that the IRS is most likely to go after the ADF directly and give the preachers warnings, which is probably the smart way to do it.